I got 2 surprise care packages this week, and both just made my heart happy. 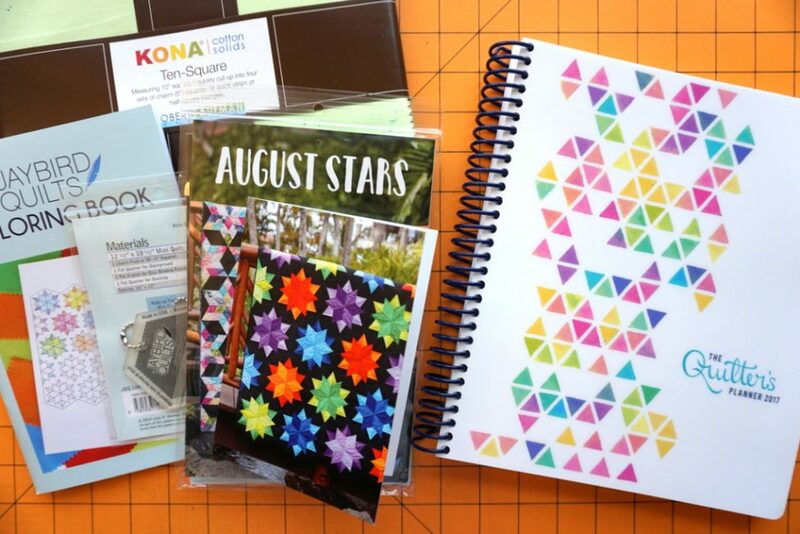 Julie from Jaybird Quilts reached out because she had a Quilter’s Planner she wasn’t going to use, and she asked if I’d like it (obviously YES, because I can’t get enough planners). But then when her package arrived, she’d thrown in a layer cake of fabric, some of her rulers, and one of her patterns! It was so sweet, the package was waiting for me when we got home yesterday. And then the other day, my mom surprised me with a new year package of supplies to make 2017 the craftiest year ever. 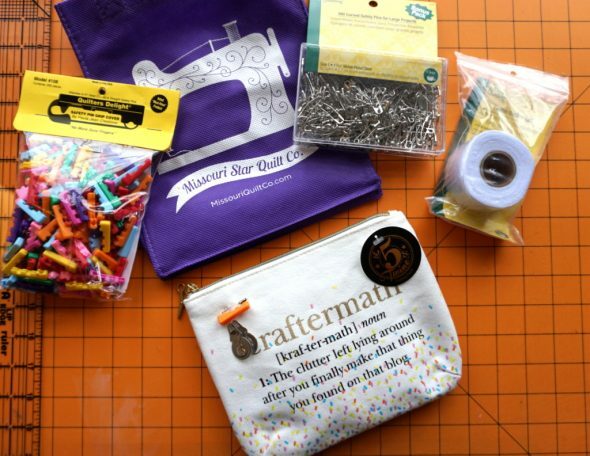 That adorable “craftermath” pouch is also full of “fresh supplies,” as my mom says. Needles, a needle holder, wax, and a few other goodies. If anyone wonders where my love of sending care packages to people comes from, this is your answer. My mom is really big on care packages, and it rubs off. I love to send treats and surprises, and it felt great to get a surprise of my own.